The Rigger is a limited edition, precision-engineered cutting tool constructed of premium materials and featuring signature Magpul form and function. This first-ever Limited Edition Frame Lock was designed by the team at Magpul and is an expression of Magpul’s design ethos and commitment to quality and innovation. The modified Wharncliffe blade is forged from Crucible Particle Metallurgy (CPM) S35VN stainless steel, considered to be one of the finest blade steels in the world, and one of the first designed specifically for knife blades. This CPM stainless steel construction provides improved strength and wear resistance which means the blade holds its edge longer than lesser steels, reducing the need for frequent sharpening. A jimped blade flipper deploys and locks the modified Wharncliffe blade with an audible click. An innovative secondary locking feature (SLF) in the Rigger’s precision-machined frame lock can also be engaged, preventing accidental blade closure, even in the harshest of environments and during demanding use. A flick of the thumb disengages the SLF, allowing quick, controlled blade closure, with or without gloves. The modified Wharncliffe blade edge has a distinct distal taper and slight belly that enhance ease of sharpening, maintenance, and overall utility. The primary grind / bevel decreases weight while maintaining blade strength and rigidity. The straight dull back curves slightly with an abrupt downward edge near the tip, creating an aggressive point for piercing and detailed work. The titanium pocket clip features a hollow pocket clip screw for lanyards and can be removed or reversed with a slotted screwdriver for easy disassembly and cleaning. At 7.59 inches open and 4.52 inches closed, it is an ideal size for everyday carry, yet large enough to handle demanding field tasks.The Rigger also comes with a custom high strength, injection-molded, weather-resistant case that’s internally lined with soft foam. When not housing the Rigger, the crush-resistant case serves as a storage box for small tools, ammo, or anything else that will fit. 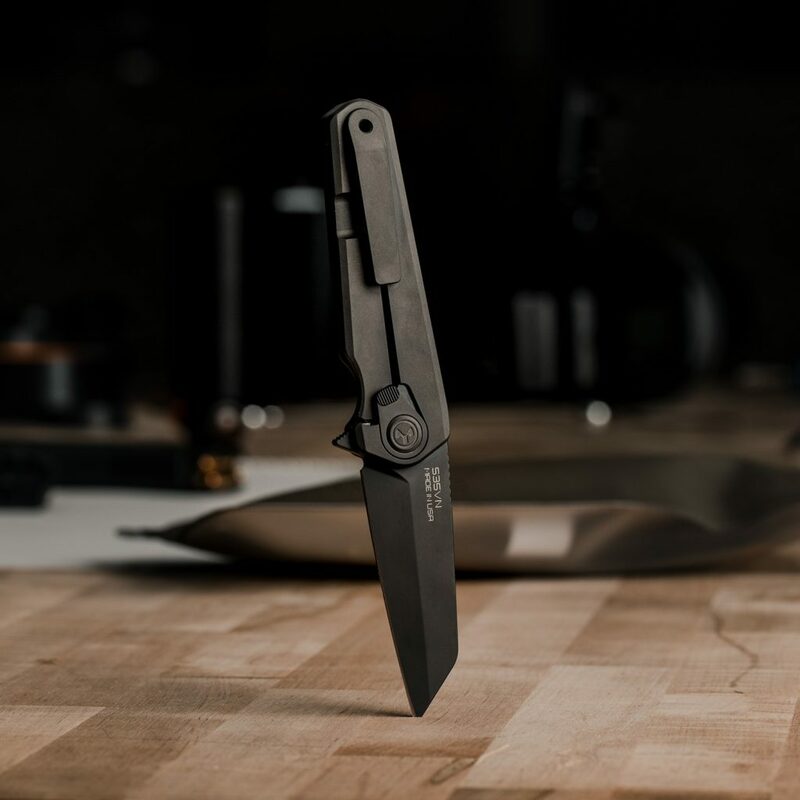 The Magpul Limited Edition Frame Lock will be offered in a series of short, serialized production runs, making these unique knives highly collectible. Availability of the first of these runs will be announced in spring 2019.